"Catch the dream" is a dreamcatcher team consisting of two girls - Jovana Isevski and Milica Puresic. After several years of individual experience in making dreamcatchers and similar decorations, in 2014 these girls joined their forces and started working together. Milica is a student of the Academy of Music in Bosnia and Herzegovina and Jovana studies English language, culture and literature in Belgrade. This year they are preparing a special workshop for Mo:dem tribe, eager to show people how to make dreamcatchers and to get them acquainted with their purpose and origin. Their goal and mission is to make a BIG DREAMCATCHER, so everyone can see and understand well how it is being made. Begginer participants will be making small ones which will be linked to the big one that advanced participants will make (the big one will be placed horizontally, and the small ones will be spirally aligned and tied for the big one). 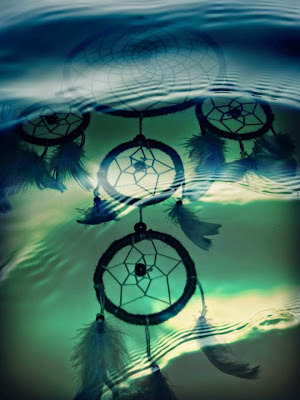 Forget and cease your bad trips & dreams, let the dreamcatcher protect you, close your eyes and enjoy!